It's worth noting that this is only the 2nd time we've managed to have TWO of our top teams in the top 1000 overall. Very stiff competition this year! For the first time this year, we also took a crack at the NASCAR Fantasy Live game, where Tanya absolutely crushed us in both the regular season and Chase standings. It would appear that this game is meant to have far more than 5 participants in order to make it interesting. The short version: Don't bother with it. After really enjoying 20,000 Leagues Under the Sea, I went for some more Jules Verne and just finished with Journey to the Center of the Earth. I'm betting it was far more intriguing back when it was written, and I tried to keep that in context while reading it, but I just couldn't get there. Even trying to imagine knowing nothing at all about how the Earth is made up and so leaving it to the book to carry me along on the adventure, there was just too much of it that had me asking questions to try and explain away much of the ridiculousness of the whole thing. In the end, it was just too much. Gah!! It's IN MY HEAD!!! I haven't yet made an appointment to figure out what needs to be done with it, but it's only a matter of time. 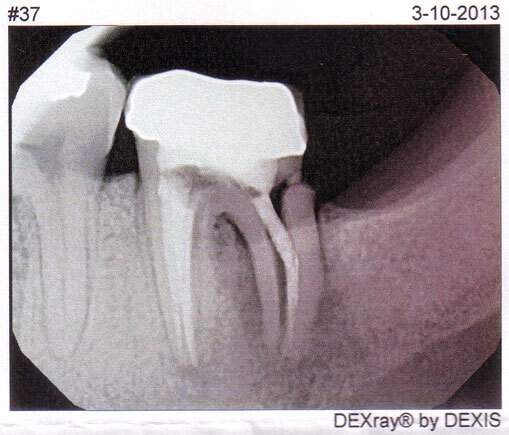 Meanwhile... here's the tooth version of a horrible sports injury. Poor tooth. I'm gonna miss it when it's gone.